I'd like to start this month’s update by thanking frontline health and care staff for their continued hard work throughout what has been another busy and challenging winter period. This, alongside the hard work of our partners in developing a winter plan that is both collaborative and responsive is helping to turn around the issues we faced 12 months ago – with zero 12-hour trolley breaches reported so far this winter and a much improved four-hour A&E performance against the target. As we approach the end of the financial year, our sights turn to 2019/20 and the financial challenge we face as a health and care system. It’s an issue we cannot and should not ignore, which is why we are sprinting towards the end of March to do all we can collectively to address the situation in the areas where we can have the most impact. We mustn’t make the financial challenge our sole focus, however. 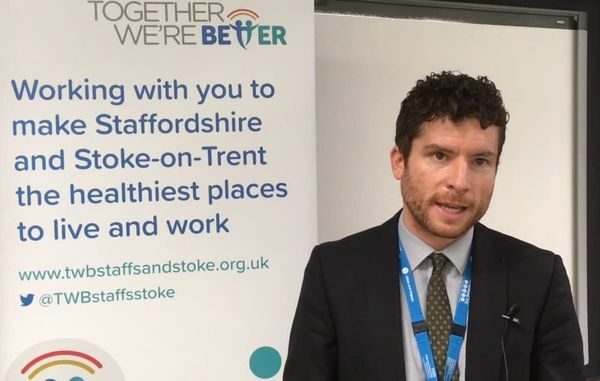 Together We’re Better is about the transformation of health and care and improving services for the people of Staffordshire and Stoke-on-Trent. This can only be done by tackling the challenges we face head-on, but also embracing the many opportunities that exist. Furthermore, it's about listening closely to what our staff, stakeholders and the wider public have to say about the future of health and care. With this in mind, our preparations for involvement that is due to launch this Spring have been ramping up, with a series of events continuing to take place – details of which can be found below. 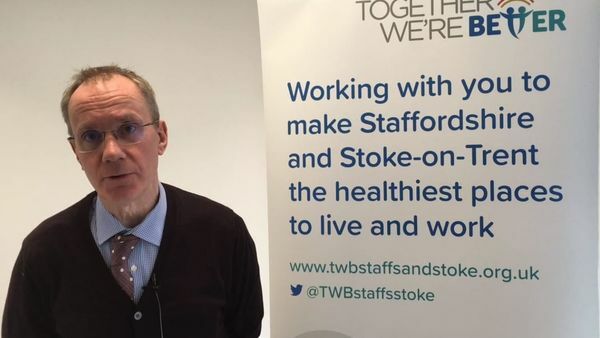 The public consultation being led by North Staffordshire and Stoke-on-Trent Clinical Commissioning Groups into the future of local health services in Northern Staffordshire continues until 17 March. The feedback received at the public events held by the CCG has been extremely valuable and I would encourage people living in the area to visit www.healthservicesnorthstaffs.nhs.uk, where they will find out more information about the consultation and how to have a say. Finally, I’d like to pass on our very best wishes to Paula Clark, who stepped down from her role as Chief Executive of University Hospitals of North Midlands NHS Trust (UHNM) on 27 February to enjoy what we hope will be a long and happy retirement. I’d also like to congratulate Caroline Donovan, who is leaving her role as Chief Executive of North Staffordshire Combined Healthcare NHS Trust to take up an exciting new opportunity as Chief Executive at Lancashire Care Foundation NHS Trust. We thank Paula and Caroline for the massive contribution they have made to the partnership and wish them both all the very best for the future. I look forward to working with Paula’s replacement Tracy Bullock, who joins UHNM from Mid Cheshire Hospitals NHS Foundation Trust, and with Caroline’s replacement Peter Axon, who joins Combined from Birmingham Community Healthcare NHS Foundation Trust. Both Tracy and Peter will be commencing their roles on 1 April. We are continuing to meet with local stakeholders to raise awareness of our work and the forthcoming 12-week period of pre-consultation is due to start following the local elections. Our NHS and local authority partners have also been holding a series of conversations with staff and will continue to do so during March using a workforce involvement toolkit that supports consistent messages and helps staff to give early feedback. 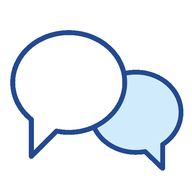 Focus groups with community and voluntary sector groups and organisations. Alongside this, we will be meeting with patient networks and protected characteristics groups, while people will be able to share their views by completing a survey (both online and hard copy). More details will be available soon on how you can get involved. The feedback we receive as part of this process will feed in to the development of our Pre Consultation Business Case and options for change. This document will also outline the clinical evidence from our various work programmes. Meanwhile, we are updating our Case for Change document, first published in March 2016 while a public facing Issues Paper is being developed to support the upcoming conversations and provide further detail and background information. In addition, discussions are being held with NHS England about the assurance process to make sure we are following national guidance and best practice. The hard work of partners and frontline staff across Staffordshire and Stoke-on-Trent has led to a much improved performance this winter. There were zero 12-hour trolley breaches in the system between November 2018 and January 2019 (compared to 384 breaches for the same period last year). We are also seeing a continued improvement in four-hour A&E performance across the system. A successful two-week pilot involving West Midlands Ambulance Service, UHNM and Midlands Partnership NHS Foundation Trust has been held, aimed at patients identified by ambulance crews as not needing to go to A&E, but still requiring urgent care. This involved Paramedics calling a dedicated phone line to determine whether services in the community are available to support the patient, rather than them being taken unnecessarily in to A&E. Initial findings have been very positive, with a significant number involved having been able to receive support in the community rather than needing to go to hospital. In Staffordshire and Stoke-on-Trent, we are working hard to develop a more integrated approach to urgent care, so that patients know where to go for advice and help and can be treated in the right place and at the right time. As part of this a base Clinical Assessment Service is now live in Staffordshire and Stoke-on-Trent, meaning that patients calling 111 between 10am-6pm Monday to Friday will be able to access clinical support over the phone if clinically required. Since going live, there has been an increase in the percentage of patients that have spoken to a clinician and we await a report on the outcomes. 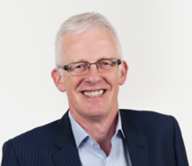 Click on the image below to watch a short video featuring Dr Steve Fawcett, Joint Clinical Lead, introducing the programme. Work across the system to improve the pathways and transition points for children with complex health needs. Click on the link below for more information, including our next steps. The Workforce programme team have been working on a wide range of projects with partners over recent months. In response to an agreement reached by NHS and local government providers to share the apprenticeship levy with the voluntary and independent sector, an event was held involving 40 businesses to hear more about the scheme. A number of applications have since been received and these will be considered by the programme board. The rotational apprenticeship scheme has been developed to help increase the supply of our future workforce, improve the quality of care and service provision, and embed integrated working and joined up service provision.The first programme focuses on the End of Life pathway and has been developed with partners providing care and treatment within this pathway. Ten apprentices will be recruited and apprentices will be supported through a robust training programme, rotating between providers over a two-year period. The team continues to support the clinical programmes with workforce planning requirements. A system-wide workforce database is currently in development to provide a greater understanding of the local health and social care workforce as a whole and support integrated planning. Testing will take place over the coming weeks. We have recently appointed a Workforce Engagement Lead who will work as part of our team in delivering the involvement priorities and objectives to support other Together We’re Better programmes. 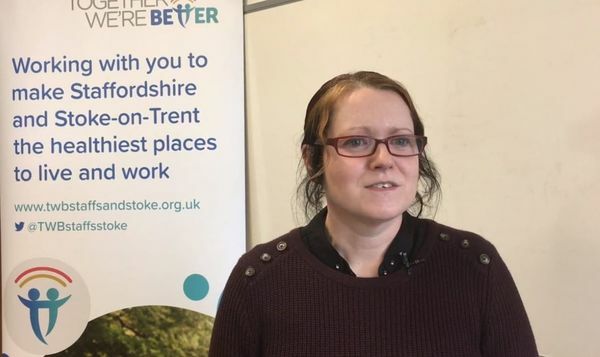 Finally, more than 30 providers from across Staffordshire and Stoke-on-Trent took part in a Department of Health and Social Care National Adult Social Care Recruitment Campaign Workshop on 11 February. Providers were keen to share how best to combat common recruitment and retention issues at the event, led by Shirley Way from Skills for Care. This was the first event of its kind developed through collaboration between Skills for Care and the Workforce programme, stemming from the system-wide Domiciliary Care Workforce review we’ve undertaken. Click on the image below to watch a short introductory video about the programme. We’ve been busy working on developing the High Potential Scheme (HPS) locally following a successful application to the NHS Leadership Academy to become a pilot site. The aim of the scheme will be to identify, support and develop the most talented individuals providing NHS-funded care, in order to help them succeed in the most senior roles within local health and care services. We’re working to support partners to adopt a more strategic approach to talent management to lead to greater self-sufficiency in filling posts and reduce the turnover of staff and use of interims. The pilot is due to get underway in June, with an initial cohort of 20 people. This builds on the successful Staffordshire Stepping Up Programme, which has already seen 55 existing and aspiring leaders from the black, Asian and minority ethnic (BAME) community take part - with dozens more involved in the latest cohort of the programme. For this month, we wanted to provide an update on some of Together We’re Better’s major capital projects. Following the £21.9m awarded nationally for the development of the health and care campus on the Outwoods site at Queen’s Hospital in Burton, partners have been working on next steps concerning services that will be located on the site. A public exhibition to view preliminary designs of the Greenwood House Health Centre development in Burntwood in September 2018 was very well attended by the local community. Detailed design drawings have now been completed and signed off by the Darwin Practice, Staffordshire County Council and NHS England. A proposed new Medical Centre in Longton South, due to open in March 2021 will co-locate two GP practices and serve approximately 16,000 people. The outline business case has now been submitted for approval to NHS England with a decision expected in April 2019. Finally, the Mental Health Programme has been successful in its capital funding bid for £1.6m, part of which will be targeted at enhancing alcohol detoxification services in Stoke-on-Trent and set up four crisis cafes across the county, designed to make mental health support more accessible to people who might need it.